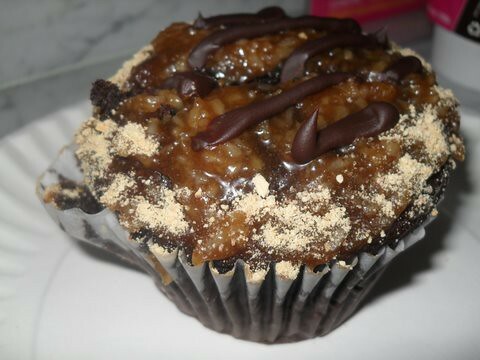 If you are having trouble tracking down a Girl Scout or a parent of a Girl Scout for cookies, then maybe you could just go to Park Slope's King of Cupcakes for a Samoa Cupcake. I stopped by today for a cupcake, and it was delicious. Sean, the owner, attended our Cupcake Business class last fall and it is great to see his bakery up and running.